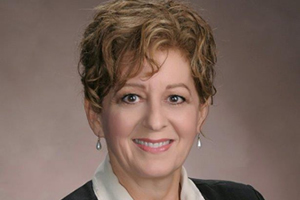 On June 14, 2013, Katherine d'Entremont was appointed Commissioner of Official Languages for New Brunswick for a non-renewable seven-year term. Ms. d’Entremont grew up in a bilingual and bicultural family, her mother being Anglophone, her father, Francophone. Throughout her personal and professional life, she has acquired a thorough appreciation of New Brunswick’s two linguistic communities. With a Master’s Degree in Public Administration, a Bachelor’s Degree in Education and a Certificate in Adult Education, Katherine d’Entremont enjoys a rich and diversified professional work experience. She started her career as a French Immersion teacher. She then joined the New Brunswick Public Service where she held various senior positions. Her expertise covers many fields, such as official languages, the municipal sector, human resources, and workplace equity. Click here for further biographical information on this member. In 2002, New Brunswick adopted a new official languages act which established the position of Commissioner. As an independent agent of the Legislative Assembly, the Commissioner has two responsibilities. The first is to ensure compliance with the Official Languages Act. Whether pursuant to a complaint or on her own initiative, the Commissioner investigates, reports and makes recommendations. Her second responsibility is to promote the advancement of both official languages in the Province. Each year, the Commissioner submits a report concerning the activities of the Office of the Commissioner to the Legislative Assembly. Over the past few years, the Office of the Commissioner has highlighted a number of issues related to the vitality of New Brunswick’s two official languages such as education, language of work, immigration and signage. Click here for further information on this office. In 1969, New Brunswick adopted an act making English and French the province’s official languages. A new act was passed in 2002 with amendments made in June 2013. New Brunswick is Canada’s only officially bilingual province. This unique status is part of the Canadian Charter of Rights and Freedoms, component of the Canadian Constitution. Pursuant to the Charter and the Official Languages Act of New Brunswick, members of the public throughout the entire province have the right to communicate with and receive services from provincial institutions in the official language of their choice. It should be noted that institutions have an obligation to inform citizens that their services are available in both official languages. That is what is called an active offer. According to the 2011 Census, 65.4% of New Brunswickers have English as their mother tongue. French is the mother tongue of 32% of the province’s residents. The Canadian Charter of Rights and Freedoms states that both Anglophone and Francophone communities in New Brunswick have equality of status and equal rights and privileges, including the right to distinct educational institutions and such distinct cultural institutions as are necessary for the preservation and promotion of those communities.